The biggest hair trends this Spring and Summer! If you have been a Salon Concrete client or read this blog, you know by now that we believe the maintenance of hair to be a serious matter. Regular trips to the salon are important, not only to keep your hair healthy, but to keep your style fresh and lively. But let’s be honest, sometimes we just want to pull back our hair even when it’s not a bad hair day. This blog will focus on the various hair accessories which have dominated the fashion world for the past few months. These accessories are not going away anytime soon. 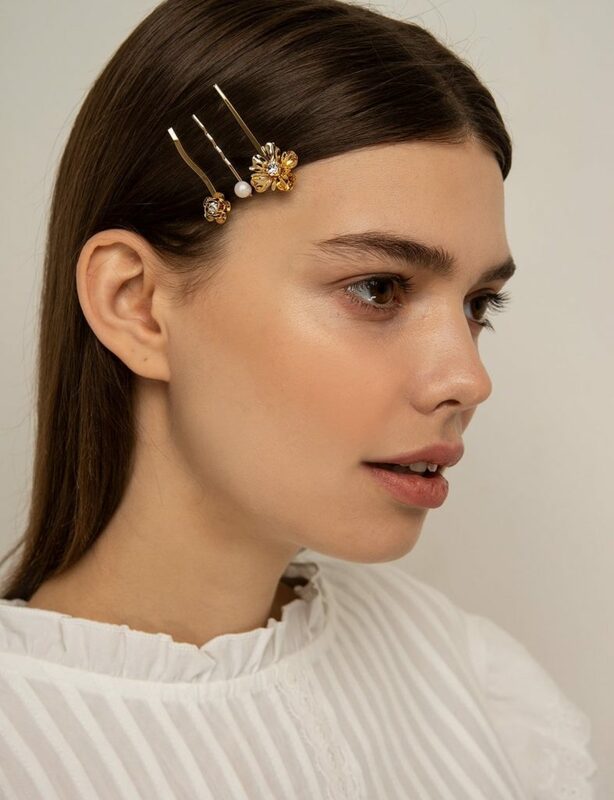 So if you want to be part of the biggest hair trend this Spring and Summer, get yourself some pins, clips, headbands, and bows now. 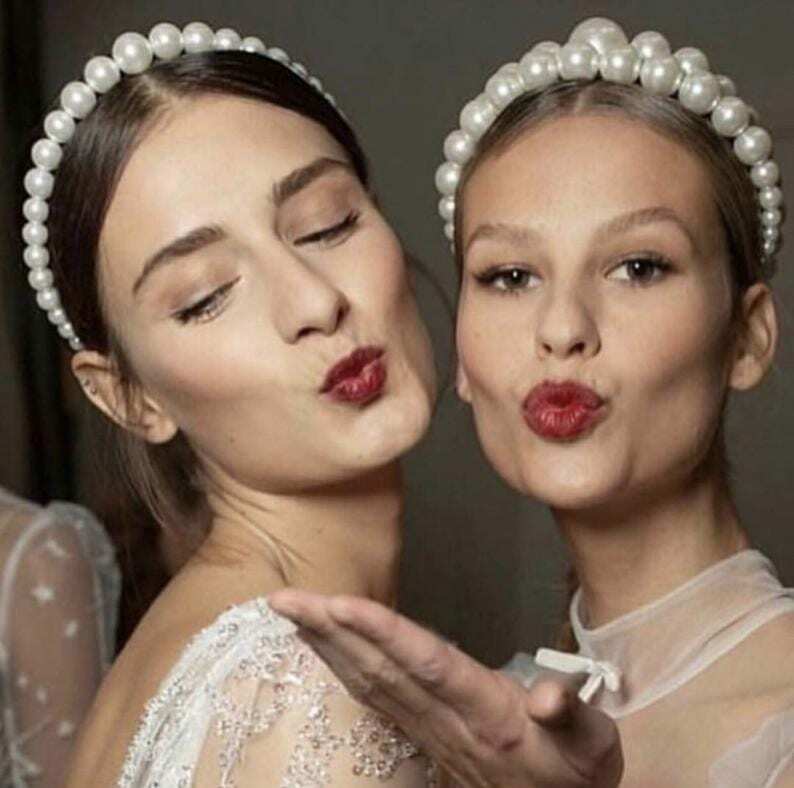 The biggest hair accessory trend is the Pearl Headband. Celebrities such as Rita Ora and Chiara Feragni have been spotted wearing the trend. 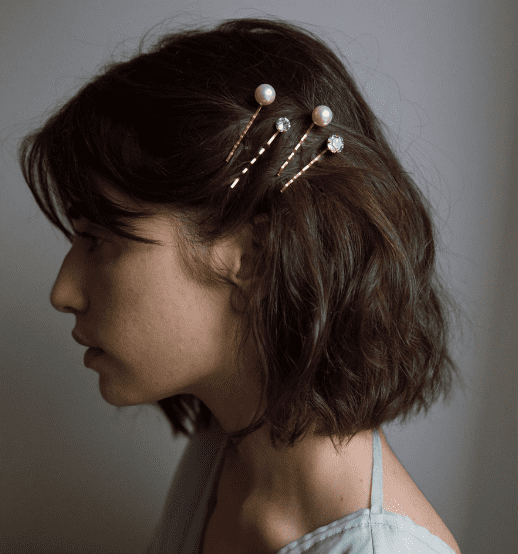 Normally seen as older and stuffy, the pearl has been restructured and revamped with the headband… almost giving it a chic, but rock-n-roll vibe. Head over to Revolve, to purchase one of the hottest versions by Lele Sadoughi. This velvet headband with all-over pearl accents is taking the trend head-on. No subtleties here. If you want to channel your inner Gossip Girl, I love this one from Etsy. This handmade headband is the perfect balance of lady-like and rockstar. Either of these can be paired easily with the quintessential jeans and T-shirt or with a printed floral dress for a dressier look. From dresses to shoes to handbags, the Bow will be seen every where this Spring/Summer. No longer reserved for the girly-girl, the bow is cool again. When it comes to hair accessories, bows have been added to everything from scrunchies to scarves. My favorite bows are available from UK retailer, Matches. 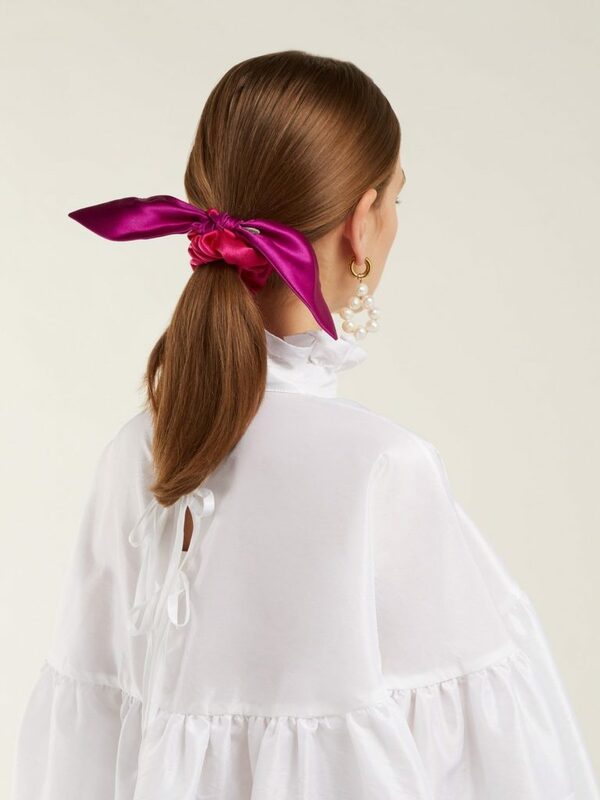 I love the satin, bow scrunchie: a sophisticated and elevated throwback to the early 90s. This scrunchie is two-tone (fuschia-pink) and accented with a tiny, silver feather pin. If you’re not a serious bow girl, but still want to be part of the trend, my pick is the denim bow headband from Lola Hats. 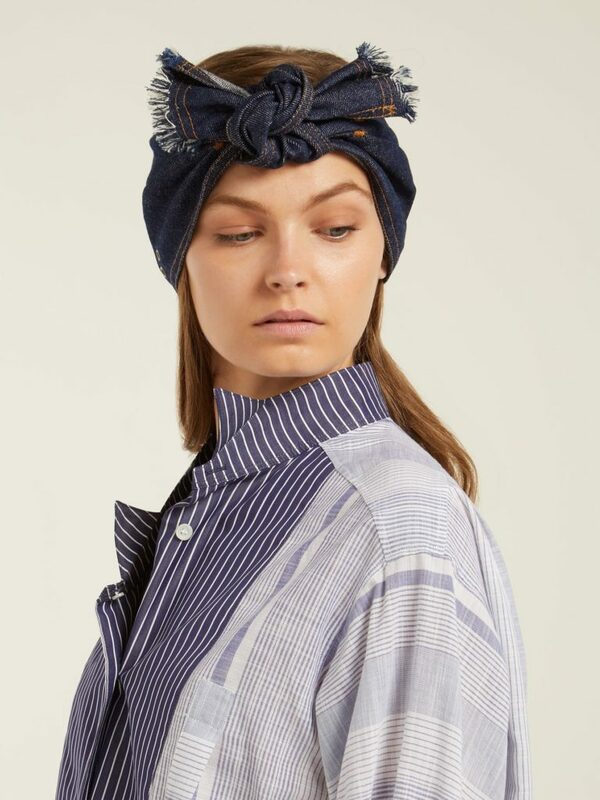 The headband gives off that downtown, effortless vibe as if you took a piece of denim and tied it on to hold your hair back. If you’re someone who likes to advertise your thoughts and feelings, forget about the slogan t-shirts and sweatshirts. That’s so two years ago. 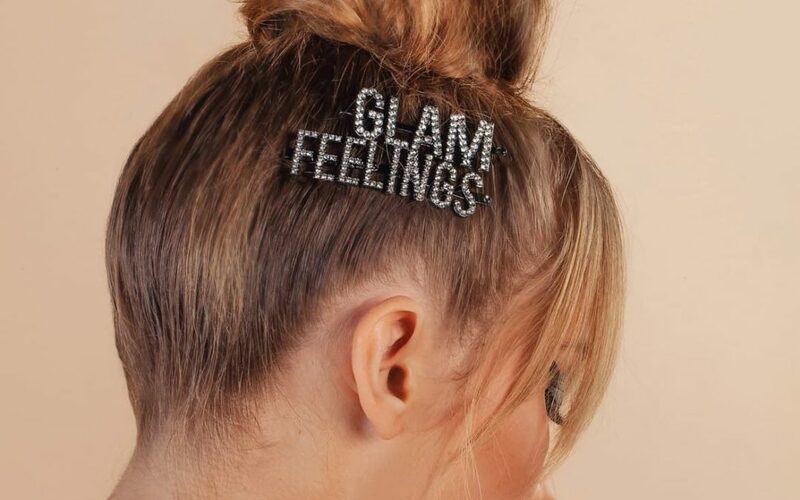 This year you can express yourself with bedazzled word barrettes. 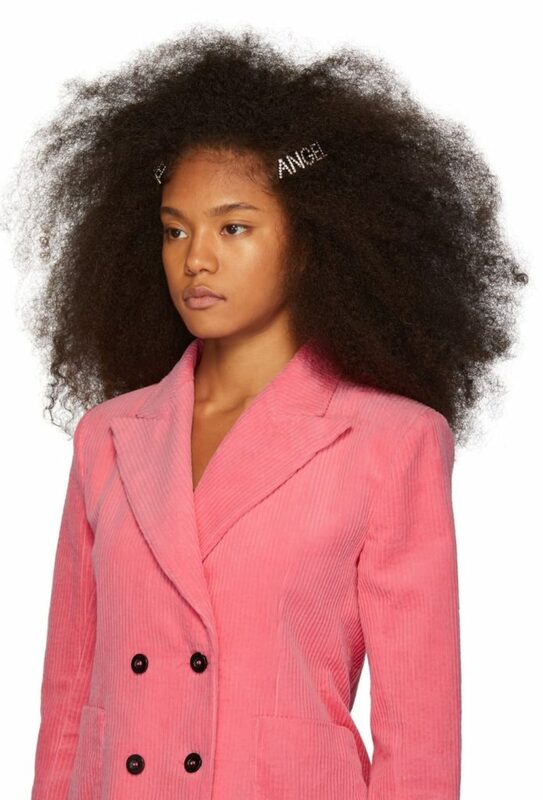 Ssense has a great assortment by Ashley Williams. Whether you’re an Angel or Devil, Sad or a Witch. 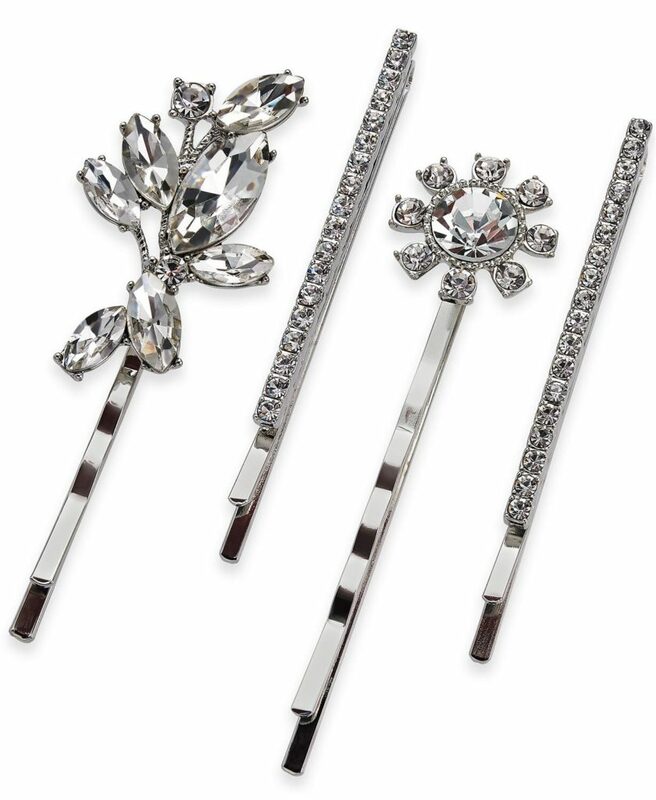 These decorative barrettes are definitely a statement and a great conversation starter for any party. 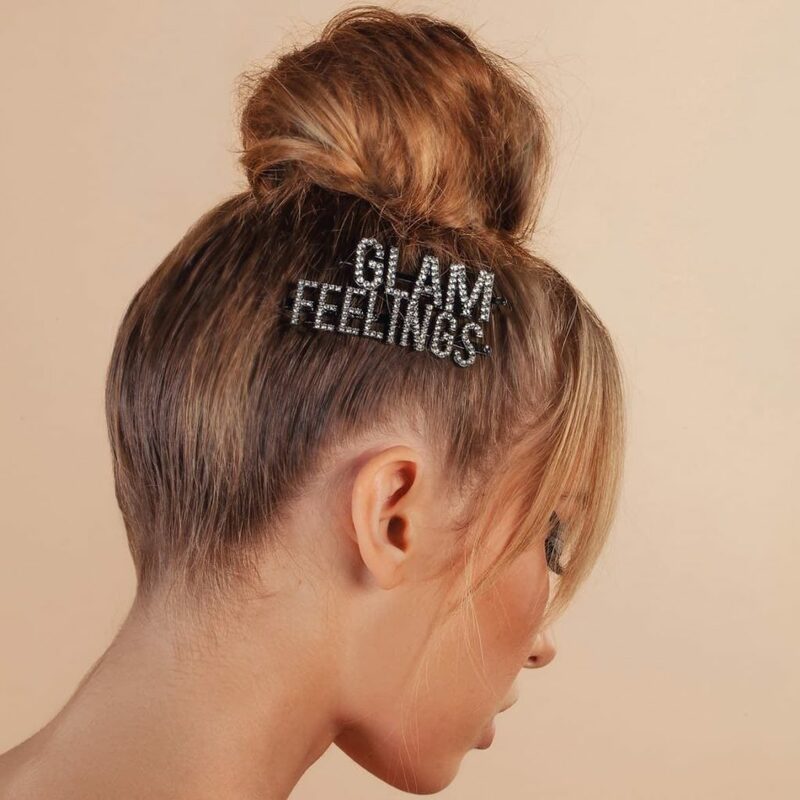 If you want to be part of the trend without breaking the bank, head of to MyKitsch which has a large assortment of rhinestone barrettes expressions such as Drippin, Boss, or Vibes. If you love barrettes but don’t want to be so expressive, there are chic, rhinestone alternatives at Pixie Market.